There is no standardized test that is foolproof for determining the presence of leaky gut, however many options are available to establish the likelihood of intestinal permeability. One speculation for the absence of direct testing and analysis is that leaky gut syndrome is not recognized as a real condition in the medical field, however, it is gaining traction as a recognized condition. Intestinal permeability, the medical term for leaky gut, uses the same tests for identifying the likelihood in the body. The main reason that no one test is accurate is that leaky gut has many culprits, and each person will have different symptoms and levels of permeability in the gut. The best anyone can hope for with results is to determine the likelihood that they have leaky gut through lab results for their most common symptoms. Each test has different guidelines: some may not want you to avoid foods normally eaten when evaluating the presence of allergies, while others require fasting or avoidance of certain ingredients. Pricing varies based on insurance and other medical considerations. When looking at home kits, I was able to find some prices around $150, but many sites want to tout their products and labs without showing their costs: one has to sign up or call for more information. Some companies offer phone consultations to discuss results or questions, and most websites offer sample results to review for ease of understanding. Depending on your confidence level with understanding symptoms and interpreting results, and depending on the test and final analysis (such as if levels are shown through numbers, or if the test shows positive/negative results), taking the analysis to your doctor or naturopath can help clear up questions. If you’re considering a test, or wondering if you may have leaky gut, I have developed a quick and simple quiz for you to consider the symptoms. The following list of testing available to determine the possibility of having leaky gut evaluates different areas of the body, and offers different results. Many tests are similar, and some, such as a more general term like “urine test,” will have multiple options. Your worst symptoms should determine what test you consider. For example, if you have food allergies or are often lethargic, a blood test may be the most useful in determining what pathogens or food sensitivities you have. Mannitol/Lactulose: This is the most common test. Two liquids, lactulose and mannitol, are drank. Depending on the results of which one(s) are better absorbed, intestinal permeability and malabsorption can be evaluated. If both liquids are elevated in the body, this signifies leaky gut. If mannitol is low, this signifies poor absorption of small molecules. Participants must fast for at least 8 hours, and cannot eat or drink for two hours after consuming the liquid. All forms of fructose must be avoided, along with certain food including: gum, dairy, anything with fruit, anything with high fructose corn syrup, mushrooms, legumes, and beans. On average, these kits can cost around $100-150. Those with allergies to supplements, dental products or medicine with sugar alcohol (such as sorbitol), or with sensitivities or restrictions on lactose, this test should not be taken without first consulting your health provider. Alternate names for the same test include: Urine Test, Sugar Test, Permeability Test, and Peg Test (short for Polyethelyne Glycol). Urine Test: See Mannitol/Lactulose for this option on drinking two liquids to establish which gets absorbed and indications. Another urine test can measure metabolites made by yeast and nutritional deficiencies, such as in the Organic Acid Test. This is an alternative to the spit test, which can also measure candida levels. 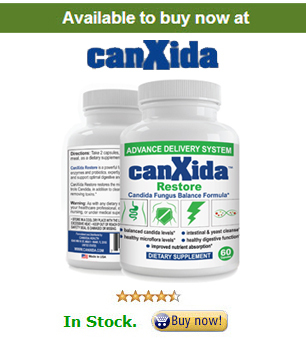 Stool Analysis: Measures candida, harmful bacteria, and sufficient food enzyme production to break down nutrients. Despite the level of detailed results, this test is limited in showing doctors how your digestive system is functioning. Certain bacteria and other harmful microbials don’t always end up in the stool, for example, and so the analysis is treated more as an indication rather than a result. Certain medications such as aspirin may interfere with results. Organic Acid Test: Looks at nutritional deficiencies and overgrowth of limited yeast or bacteria through measuring the body’s metabolic activity. This is a kit that can be done at home by taking overnight urine samples and sending them to a lab. Sugar Test: The Mannitol/Lactulose test is one sugar test option. The Gut-Chek test, which is a Hydrogen Breath Test, also claims to evaluate blood sugar in the body. Breath Test: Most strains of bacteria emit hydrogen and methane chemicals. Also referred to as hydrogen methane breath test, this determines if there is bacterial overgrowth based on how much hydrogen and methane are present. For accurate results, probiotic supplements should be avoided for five days. Certain food, drink, supplements and medication must be avoided just before the sample is collected. Allergy Testing: See Blood Testing, IgT, or IgG for more information. Blood Testing: Also known as, IgT or IgG testing, blood measures the presence of candida in the bloodstream, and short chain polypeptides, which form with the incomplete digestion of proteins and can mimic hormones, neurotransmitters, and other functions in the body. Presence of these polypeptides are believed to explain food reactions. Alongside food, particles that relate to seasonal, pet, or other allergens can be identified. An ideal blood sample is taken about two hours after consuming a protein-rich meal. Try to incorporate protein that is commonly eaten to best determine personal results. IgT or IgG Test: Conducted by analyzing dried blood or drawing blood, this measures potential food sensitivities and, in some analysis, candida. The reasoning for this option is that intestinal permeability allows particles to enter the blood stream, and most people with leaky gut will develop food intolerances along with a risk of containing candida in their blood. Any food elimination should be avoided, as this will affect results to determine allergies to that food. Leaky gut often requires food elimination: taking common allergens out of the diet for two weeks and reintroducing them to see how the body reacts. The IgG/IgT test can be helpful for determining what foods are most likely to irritate the small intestine. The first option is also known as Adrenal Stress Index, which measures cortisol levels and IgA, an immune system marker. Cortisol is a steroid hormone, known for the “fight or flight” approach of sending stress to the body. However, when stress is a daily element of life, cortisol can build up in the gut, creating chronic stress and inflammation: two risk factors for leaky gut. The second version is done at home to evaluate candida overgrowth, another risk factor for leaky gut. Have a glass of water by your bed, and spit into it when waking up before swallowing. If, after fifeteen minutes, the spit has dangling lines that look like spider legs or jelly fish, this indicates excessive candida. If cloudy substances sink to the bottom, these are yeast colonies. Parasitology Testing: evaluates any parasites, a risk factor for intestinal permeability, in the gut. While many people associate the risk of parasites with traveling abroad, every country contains parasitic food and drink. Parasites and candida overgrowth have similar symptoms: bloating, stomach cramping, constipation, gas, joint pain, and itching in or on the body. The analysis uses stool samples, and may require a few for an accurate reading, as parasites do not always appear. Home Test Kits: Most home kits use the mannitol/lactulose system, and are listed either as a leaky gut analysis or intestinal permeability test. Any urine within 6 hours of taking the substance must be collected and saved. Results must be sent to a lab within 24 hours. Blood and breath home kits are also available. Both options must also be sent to labs for analysis, and cost anywhere from $100-300. Stool Analysis kits can cost over $600 for a comprehensive analysis, while basic tests can be over $500. Companies that offer a variety of home test kits and labs to analyze results include: Genova (Which incorporated another company, Metametrix), Gut-Chek, and Gastrointestinal Test (which has stool-related tests for leaky gut, but also offers saliva-based analysis, and options for parasitic and fungal profiles, among others), and Nutritionally Yours. The Mannitol/Lactulose option is available at Walk in Lab. A breath only test can be found at Breathing at Home. IgG (blood) options include The Great Plains Laboratory and Lab Tests Online. Elimination Diet: This is usually conducted after leaky gust syndrome is suspected, and can be done from home without need for a lab or interpreting scientific results. Common nutrient irritants are removed individually from the diet for two weeks, and added back in to see how the body reacts. Keeping a journal helps track how the body responds to each addition and subtraction. Dairy, gluten, soy, and sugar are four of the most common irritants to begin with, however, people have found that they are sensitive to: eggs, caffeine, alcohol, grains, vegetables, nuts, fruits, and every other food imaginable.